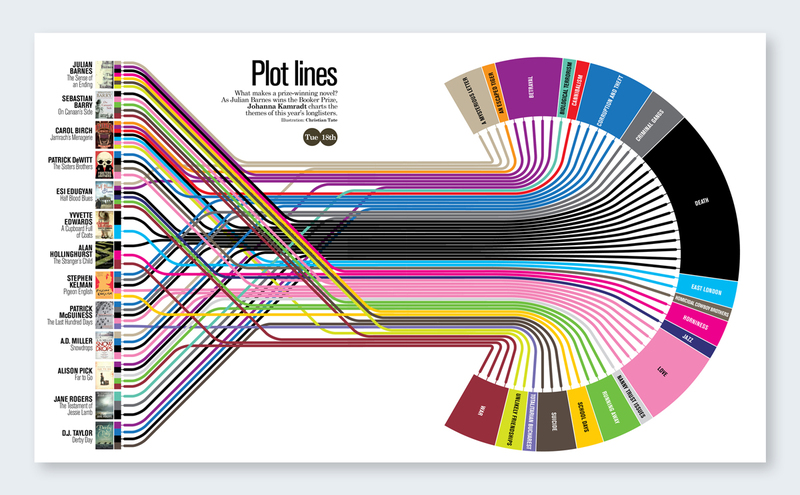 It’s no secret—infographics are everywhere. With their useful and entertaining combination of images and words, they’ve taken the business world by storm. It’s easy to understand why: Most people remember images better than walls of text, meaning that the message companies want to get across is retained. Infographics are most commonly seen in the business world and in school, but it seems there could be a lot of other uses for such a versatile tool. Plenty of other people seem to agree, as they’ve found some rather interesting ways to use infographics. We’ve compiled a list of some of the most interesting and unique variations. While infographics are many things, I doubt "romantic" would be a word most would ascribe to them. Naturally, that hasn’t stopped anyone from trying. 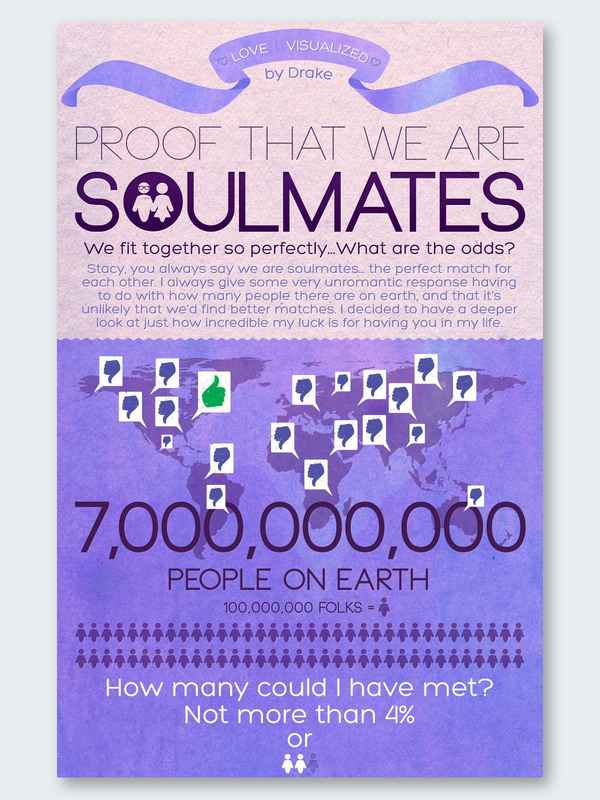 Drake Martinet created an infographic for his girlfriend, Stacy Green, in order to propose to her. The infographic has a rather interesting take on the idea: Martinet starts the infographic by breaking down, statistically, how many women he would reasonably have been able to meet and fall in love with during his life thus far, then breaks it down further by examining how many women could have the same impact on his life as Green has. He ends the infographic by asking Green to marry him. Martinet’s infographic makes for a surprisingly sweet proposal, turning what would normally be more detached statistics into something rather warm and personal. Others have seen the use of infographics in the romantic sphere, but have been using them as wedding invitations rather than proposals. Olia Geiko explains how, with how different wedding planning is today due to technological advances, infographics can be a very natural and memorable route to creating invitations, and provides some examples. The first example on the page is rather creative. The couple’s invitation can fold easily, with the front able to create an image of either individual’s face. The back contains all the information the recipients need to know, including the people they plan to invite, their story together, and how to RSVP. An example further down the page shows the timeline of their relationship, and what the timeline of their possible futures looks like, with some rather hilarious comments and focus. Either option is a great way to put a spin on an already momentous occasion, and perhaps make it even more enjoyable for yourself, your significant other, and your guests. If infographics are a way to display data in a more interesting manner, it seems like that same idea could apply to grades—whether they be to extol a good grade, or lessen the sting of a bad one. 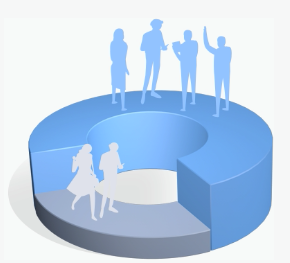 While most people would think of school when thinking about report cards, Reflektion did one on how well 100 different retailers handled personalizing their websites. 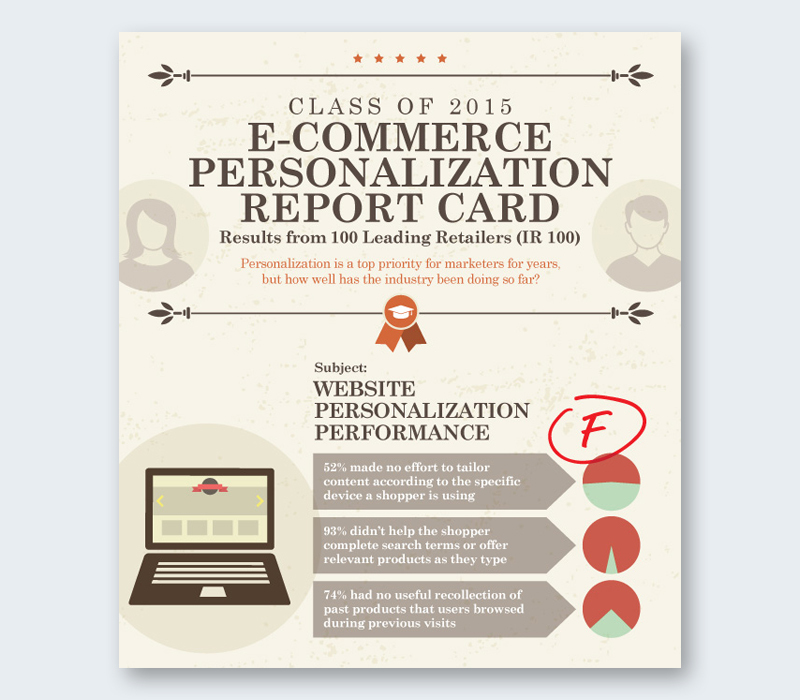 Creatively titled the "Class of 2015," the report card lists four subjects: “Website Personalization Performance,” “Personalized Product Recommendations,” “Smart Search,” and “Adaptive Pages.” A failing grade is given to each, with the reasons why listed beside. For example, one of the reasons the retailers failed “Website Personalization Performance” was because 93% didn’t help the shopper as much as they should. The report card goes on to explain some ways to improve the grade, and includes a “best of class” section at the very end. While this particular example is obviously tailored towards businesses, it’s easy to see how this could be used in schools or even the home. Frustrated parents could use the report cards to give some entertaining grades for how well their kids do with their chores or homework, and perhaps encourage better behavior. Of course, these sort of report cards could also be used by any sort of employer, either as a way to motivate employees or to make company reports a little more interesting. 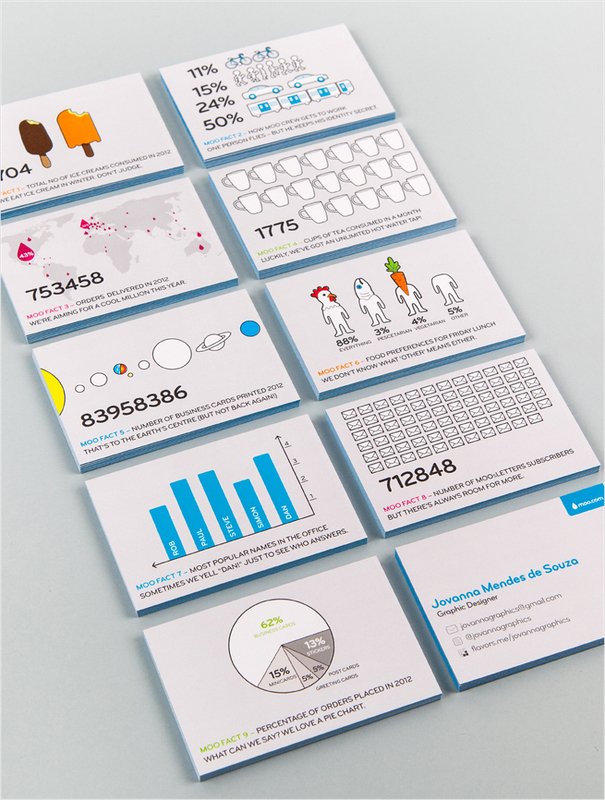 If infographics can be used as wedding invitations, why not as other cards? It’s become a popular trend to create infographics as Christmas cards rather than going a more traditional route. 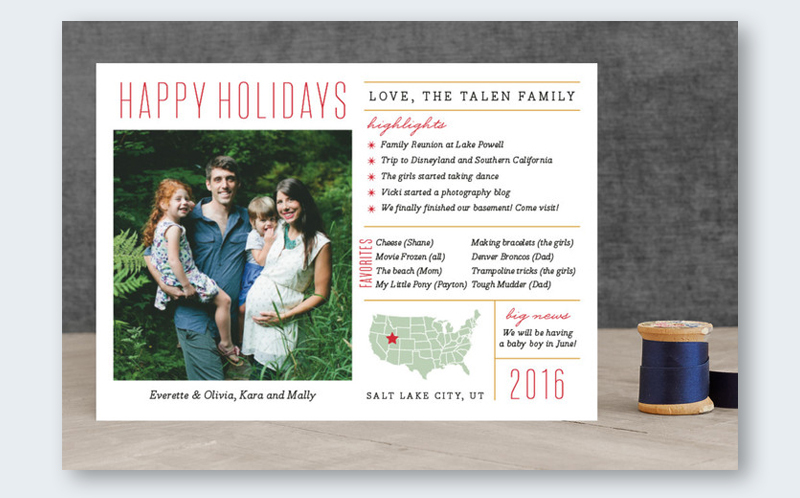 Minted actually has a wide array of this infographic cards to choose from. For example, one card wishes its recipients “Happy Holidays” while going over the highlights of their year, as well as their news for the next and some of the family’s favorite things. Another has a pie chart splitting up the three things the senders feel and wish for the readers: good will, holiday cheer, and gratitude. These Christmas card infographics are relatively easy to make, and could provide a fun family project for any holiday season—perhaps you’ll be the one to popularize infographic Valentine’s cards. While infographics have definitely been used to break down some difficult philosophical concepts, few have been used quite like this one. The presentation is rather unusual in and of itself, with various statistics and graphs flashing across the screen quickly, interspersed with words. Music is put to the work to help emphasize each piece. Bagni claims that the series is meant to present and abstract message, and “abstract” seems to be a good way to describe the infographics. While on the surface it can be difficult to understand what the images are trying to convey, watching over them at a slower pace and trying to figure out what it means to you can—much like with any art form—lead you to your own answers. With how unusual these infographics are, one has to wonder if similar difficult philosophical themes could be explored in such a manner. Infographics can already help individuals retain information because of their combination of text and visuals. Naturally, a way to help information stick further would be to include interactivity—namely, in the form of interactive games or quizzes. ISTE Connects, while not focusing specifically on infographics, does go over how games can help people learn—specifically, in their case, with children. The article details something called "gamification," or taking game elements and applying them to things that normally wouldn’t be used as games. It gives some information on how to incorporate these elements into a classroom setting, such as creating stop-motion video with LEGOs or coding their own basic game. It would be a relatively simple process to apply this process of "gamification" to infographics. Since infographics can be interactive—much like the example with interactive fiction—quiz games could be created, using such ideas as hiding the answers to questions behind certain blockers or moving potential answers around to discover the right one. Perhaps you could even create a sort of ‘puzzle’ that gives an answer when enough pieces are moved around. A great example of an infographic game is Space Race. A rocket flies down the page as you scroll, passing information and various obstacles, while counters gradually increase at the bottom, which continues until the “player” reaches the edge of our solar system. 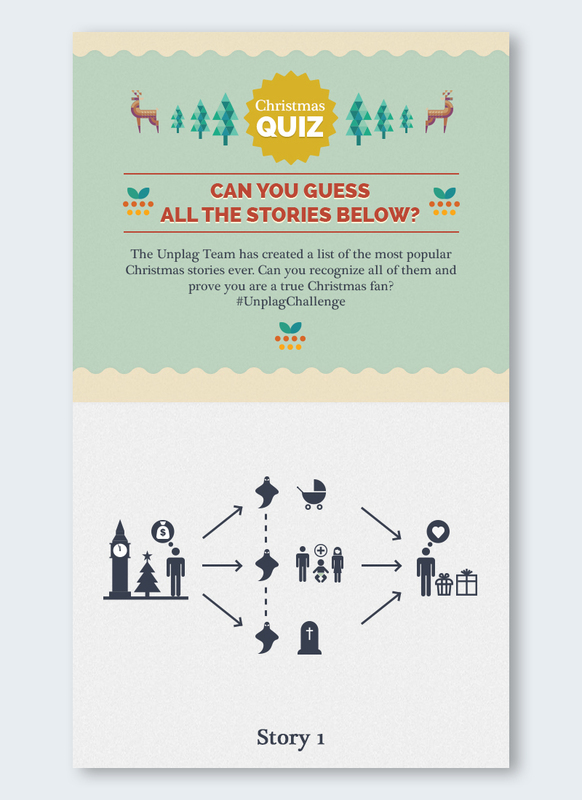 Another example is this Christmas Quiz, which cleverly uses a series of images to describe each Christmas story the creators are trying to make you guess. The infographic ends with the answers to each group of pictures. If you wanted to branch off with the interactive fiction idea even further, you could tell a sort of "informational story" through an infographic, with plenty of moving pieces and reader interaction. The possibilities are endless. I’m sure many of you have seen infographics used to make public service announcements or to explain a particular political idea, but more often than not they aren’t done quite in this fashion. 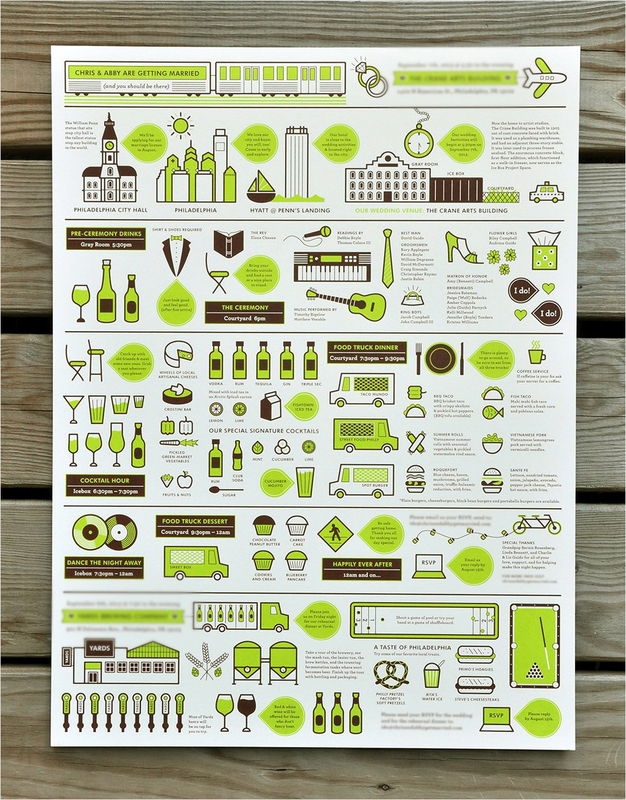 Bogdan Rancea details some unique infographics created by illustrator Christoph Niemann. Some detail information about his personal life and provide some interesting lessons on art—such as how to use metaphors well—while others are a little more controversial or satirical. One of his infographics explains why he doesn’t aim to be a great artist, instead claiming that he finds he’s already like them—but not for the quality of his art. Instead, he makes humorous comments about some of the greats nearly being late for deadlines, conversations with editors, and even "selling out." 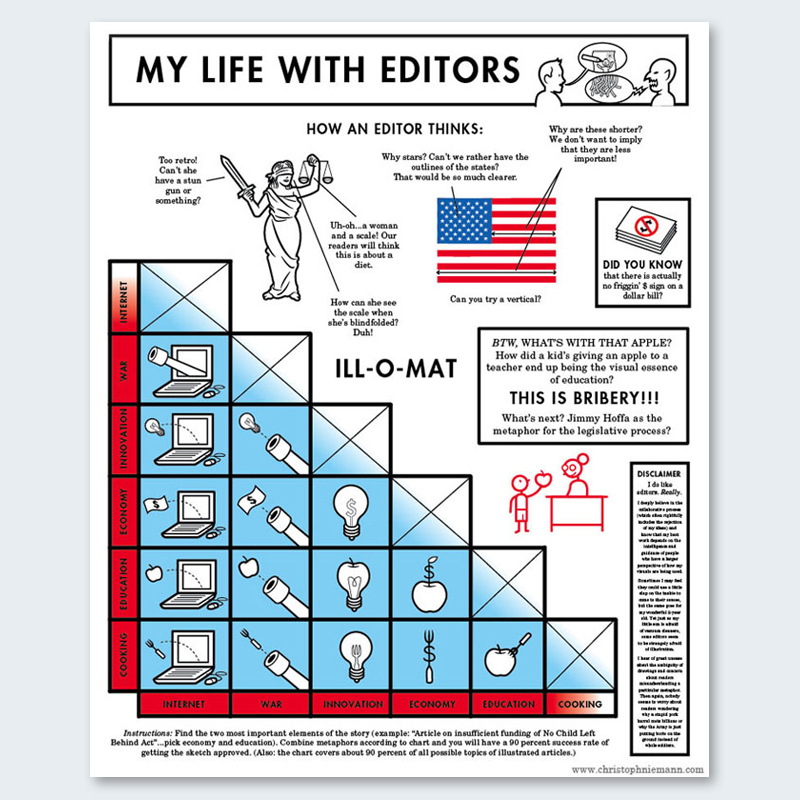 He has a similar infographic on his experiences with editors, detailing with satirical humor about some of the things he’s heard (or imagined) editors say in the past, but put in a scenario where they are instead commenting on popular concepts and images. It may not always be advisable to create such content and post it on the web (unless, of course, you’re specifically looking to stir things up) but, if nothing else, it can help relieve stress and make formerly frustrating situations a bit lighter. If infographics are a way to display information in a more entertaining, easier-to-understand manner, than they would naturally lend themselves to any step-by-step process--including food preparation. 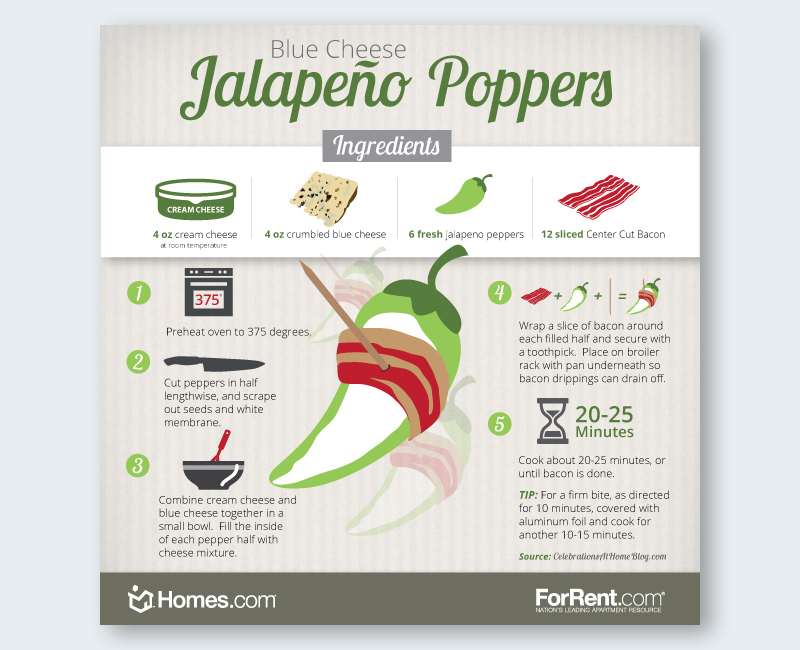 Nancy Young lists plenty of food-related infographics, including plenty of recipes. One such infographic illustrates how to make “skinny smoothies,” giving the amount of each ingredient in sequential order with plenty of options to substitute your own preferences. Another example lists “ramen hacks,” giving a variety of ingredients to include with your instant noodles to spice them up a bit. 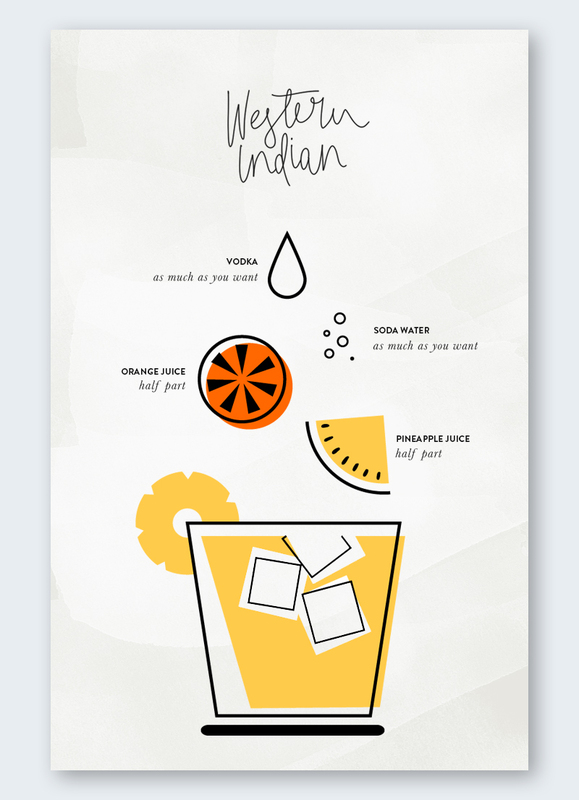 Creating your own recipe infographics could be a great way to share ideas, as well as to help yourself remember some of the more difficult formulas. Many maps already combine text and image elements. Naturally, this means transferring those to an infographic format is a natural step. 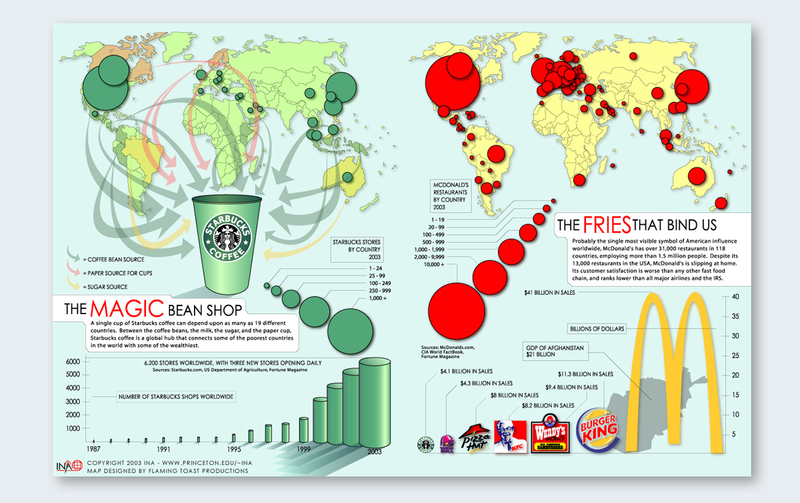 Liz Fulghum lists various examples of interactive infographic maps. For example, the map for NC Marine Science allows you to click on their different locations for more information. Other maps list statistics for their various locations. Infographic maps are great ways to provide more information on individual places, though they probably work best in the more condensed online format, where the information can be hidden behind clickable images. There are many, many ways to go about planning a novel. 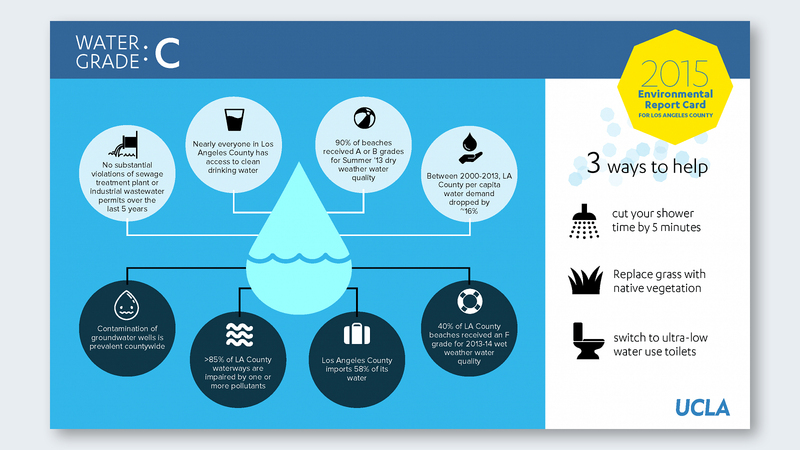 Infographics are just one way to help organize the information. One deviantArt user lists how they go about creating their novel’s stories, and mentions how they use a flowchart to help keep track of their characters’ relations and actions. This could quite easily be adapted to the infographic format by including images of the characters’ actions (or the characters themselves), symbolic elements, or even just random doodles to help remember information. This method doesn’t have to apply just to novels, either; you can use infographics to brainstorm all sorts of ideas, which can be incredibly useful when going back to look over your notes. We’ve already pointed out that infographics work great in the business world, but they’re typically used as stand-alone images for websites. Why not take them a step further and hand them out? Karyn Rossen has a very unique take on the idea. She explains that each business card was meant to be a “mini-infographic” that would illustrate what each member of the company brought to the table, as well as handing out their contact information. Each card contains several interconnected pictures with very brief descriptions for the workers. Naturally, these business cards can be expanded in different ways, such this example from Pinterest. You can make them your own, and hand out a rather memorable card to bring customers flocking to your business. These are only a few ideas of ways to use infographics in new and sometimes unusual ways. Try experimenting with the format and seeing what you can create. Who knows? You might be the one to create the next trend. Or, if nothing else, you might find your work on a list similar to this one. 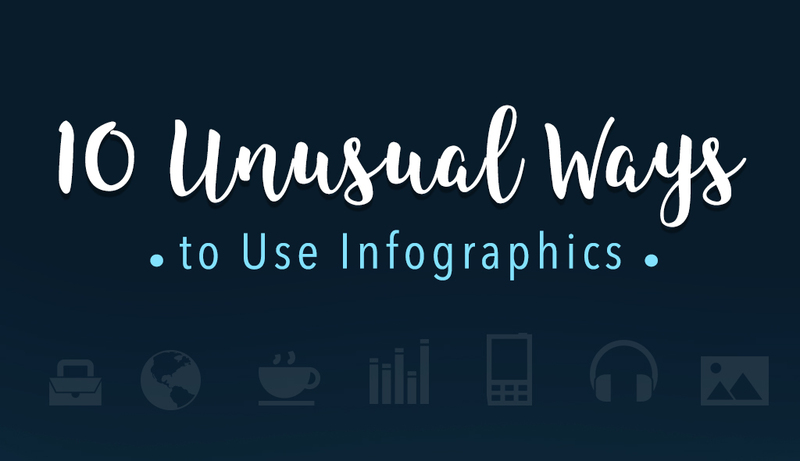 If you want to try your hand at creating your own unusual infographics, you can try this free online tool and let us know what you think in the comments section below. 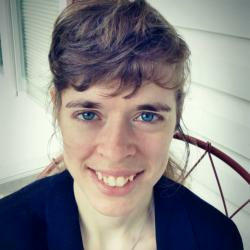 Kayla Darling is a writer from Rome, Pennsylvania who has been writing and posting stories online for years. She graduated from Lycoming College with a degree in Creative Writing and a minor in Psychology. She has a passion for community service and storytelling, and probably spends an inordinate amount of time doing both. (stumbleupon). I havbe saved it for later!